Want an extra $500 to upgrade and replace your car, even if you're still making monthly payments? 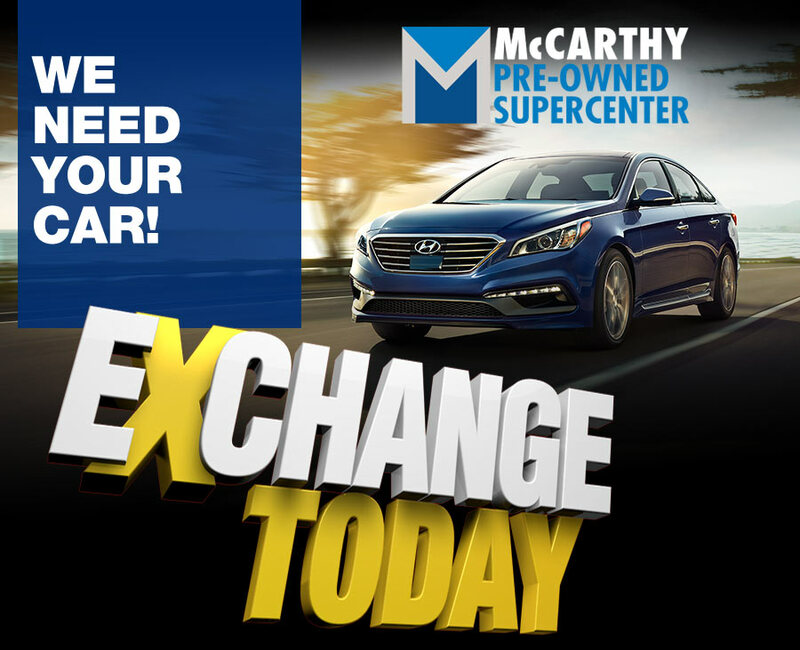 With the McCarthy Pre-Owned Supercenter Exchange Evaluation Program, that bonus trade-in cash can be all yours! Just bring your vehicle into our used car lot for an exchange appraisal, and you'll drive away with a newer car. It's that simple. You can maintain a similar monthly car loan payment with little to no money down. You can upgrade or downgrade your vehicle whenever life throws a curveball. Exchanging your vehicle allows you to reset the mileage and warranty of your financing terms. Better financing rates may be available to you now, ultimately reducing your payments. You may be able to get a newer car with the latest safety systems and features. Participating in our Exchange Program means you'll receive a completely free trade-in appraisal with no obligation to actually make a switch. 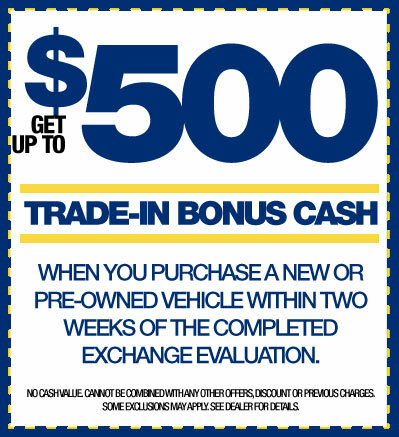 If you'd like to learn more about our unique car trade-in program, contact our Blue Springs used car dealership at (816) 256-2632 and ask us how you can get $500 off your next pre-owned vehicle. Or just stop by our used car lot at 3030 NW South Outer Roadto speak with one of our representatives or auto financing experts.